We decided to do a blind tasting in our newly established warehouse after we have settled down in our new premise. The Bordeaux 1989 theme came into mind as I have not done this subject for a couple of years already, so it’s time to revisit. 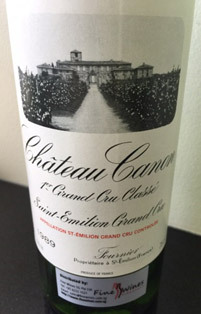 In addition, 1989 and 1990 are both extremely popular Bordeaux vintages, many argued one vintage over the other (although I have a very clear preference of which vintage I’d prefer), simply because they’re both entering a ready to drink stage, and almost at their optimal drinking window. 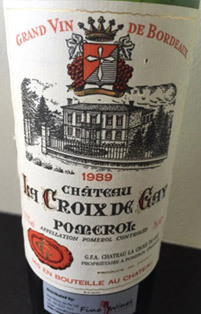 Bordeaux 1989 is a hot vintage; however, sometimes hot vintage does NOT mean that the wines are ripe and forward. On the contrary, a lot of wines tasted more vegetal than being ripe or very fruit driven. It all depends on when the winemaker picked the grapes. During a hot vintage, the vines were stressed, so the winemakers tend to harvest their grapes earlier, thus resulting in a lot of capsicum, green, raw tastes as the grapes have not reached fully maturity. 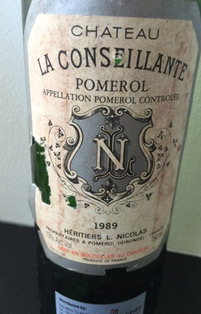 The right bank Pomerol did equally well as the grapes were allowed to reach full maturity before it was picked. 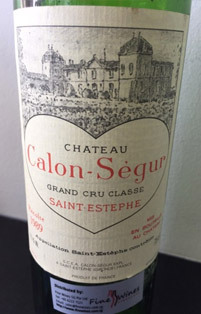 Thus we have very good balanced mix of left and right bank wines for this 1989 vintage.However, according to my drinking experience, the best wines were not made by first growth chateaus (perhaps with the exception of Haut Brion). All seats are snapped up within the day! We quickly whipped up a newsletter inviting our customers to join the tasting event. I prefer to have the tasting in a blind format, as one is not influenced by the label so that one can make a better judgment over what his preferences are. It was also some fun to try to decipher the content and guess the labels based upon the character of the wines, and I can assure you this format will silence even the experts or wine critics. I have drank with so many wine connoisseur, yet the elusive expert has never surfaced in blind tasting who can guess most of the labels correctly despite his/her knowledge on wines. I’ll leave this topic for future write ups. The 8 seats were immediately filled up within the day after we sent out our invitation, in fact we have quite a few others on the waiting list, and I have to seat on a bar stool to squeeze myself in the event! A pity we have almost all the appellations represented except Graves as we just sold our last bottle of Domaine de Chevalier prior to the newsletter invitation. Nevertheless these wines still represented the Bordeaux wines very well. 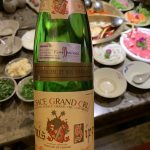 Prior to the event, I made an almost bold declaration that a lesser classified growth in this blind tasting is going to emerge as a winner, did my prediction come true? Stay tuned. Start off with extremely elegant, legendary Champagne. The starter champagne Andre Clouet 1911 MV needs no special introduction, you can read about it on our introduction. 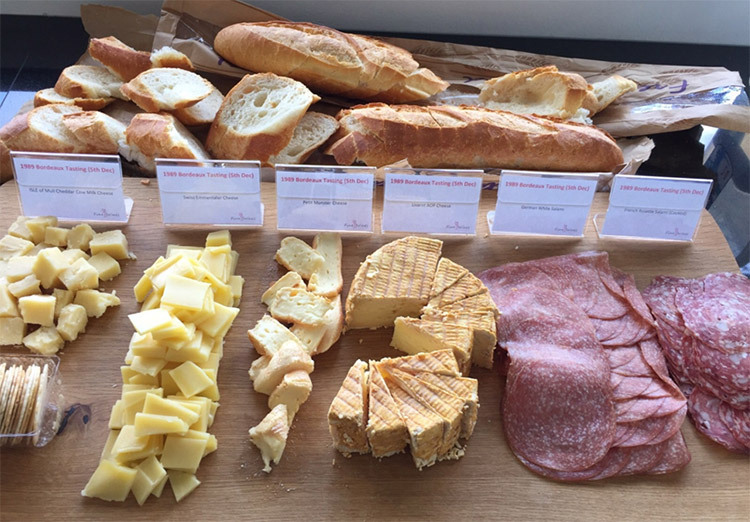 The price of the tasting includes sumptuous finger food, always come with my best pick of cheeses and sausages, along with ample baguettes to soak up the wines. Take note I wasn’t even sure the bottles behind the blind fold as I wanted to participate too! We served the 8 bottles in 2 flights of 4 glasses each, so that we don’t have to wash glasses till midnight, plus we have limited real estate space in our tasting room. After some preparation of color coding on the glass and the bottles, we decanted the wines about 30 mins before the event starts (by the time we get to second flight, the wine would have decanted for almost 2 hours). In order to remain as a participant, I have instructed one of my staff to do the randomization of bottles, so I was also not influenced by the labels and remained neutral as well. I will announce the label after some description of the wines here, instead of waiting to the end to make the announcement. Nose: Loads of coffee, espresso, smoky character. Palette: predominantly red fruits, rounded and pleasant, a simple wine without much complexity, a bit single dimensional. However, the wine improves in the glass towards the end of flight 1, so I have upgraded my score slightly, as this somehow implies the wine is not getting sufficient decanting time, and it’ll have rooms to age itself further. Nose: overwhelming amount of bellpeper, stalk and green, and turned minty after an hour. Palette: It started off tight and young, very red fruit driven, mixed with some mocha. The wine started to fade about an hour later. 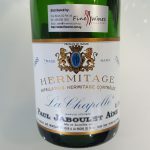 Initially I ranked this bottle higher than wine #1, but I was disappointed with the fading that showed up so early and it looks like a weak wine or perhaps a loose cork that lets too much air into the bottle over the years. I had many La Conseillante 89 in the past; this was perhaps the poorest bottle I had, so I’m not going to write this label off so easily. My score: 91-92 initially downgraded to final score of 89. Nose: Extremely concentrated tea leaves, slightly leathery and also some funk and barnyard. 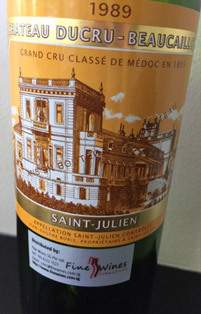 Palette: I enjoyed the very rich wine style here very much, a Bordeaux that has all the good characters of a classic Bordeaux, backward, multiple layers, thick and luscious. Extremely addictive. Had very good staying power throughout the tasting (I left some for comparison to the next flight). Undisputed wine of the flight. My score: 93-95 initially, but eventually upgraded it to 95-96 after tasting the 2nd flight. Comments after tasting: on hindsight, should have known that this was a Lynch Bages even though the characters pointed heavily towards Calon Segur (that was my guess). Lynch Bages, also known as “cheap man’s Mouton”, are extremely great fifth growth wine in the 80s. Unfortunately too many drinkers know about this secret nowadays, it’s no longer cheap. Nose: Another extremely raw green notes and extra dosage of bell peppers, with a salty character as well. Palette: Quite a classic wine, although slightly sour, acidic, lean (but of course not mean). Nose: Coffee driven, dark chocolate. Palette: Tight and young initially, fruits are somehow subdued on initial pour and then keep evolving throughout the tasting. Silky and pleasant fruits, rich. Performance of this wine is a bit pendulum to me, it shined and then went downhill. Comments after tasting: I think this is quite a good buy given Leoville Barton’s prices are usually very honest and inexpensive compared to other big names second growth Bordeaux labels. 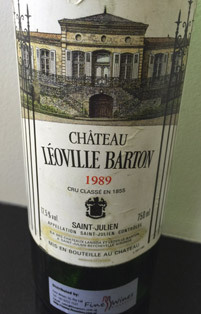 Not many Barton vintages impressed me, I’d count the 85 and 89 both as an excellent buy. Palette: A tad too basic, simple and one dimensional wine, however, the length of the wine is decent. Comments after tasting: Bordeaux wine qualities are very close. Despite being the lowest score in the whole drinking session, I don’t find this wine too far off compared to some bigger name wines, more of a daily drinking wine rather than a serious sophisticated wine. Nose: Very muted initially, and then opened up eventually with mild smoke and very green stem nose. Palette: A very elegant and pleasant wine, detected some red fruits initially, and slowly replaced by very rich and opulent style, and possessed a bottomless deep, dark fruit character. 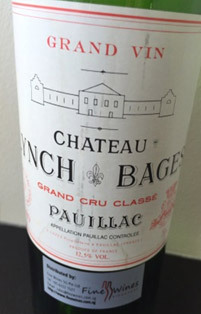 Comments after tasting: My initial guess was a Lynch Bages (despite having no related character of Pauillac), on hindsight, it makes sense such wine rightfully belonged to Chateau Margaux. Frankly, I was surprised this Chateau Margaux was showing so well, as I never had an impressive first growth apart from Haut Brion from 1989. Nose: Strong coffee, red fruits, slight barnyard and nose a bit shutdown/muted. Palette: A bit too dry but possessed a very classic style, a fresh bottle, feels very young and clean. My score: 91-92 initially but upgraded it to a final score of 94-95. 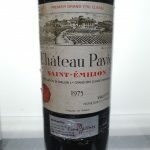 Comments after tasting: The “fresh bottle, feels very young and clean” actually give hints about this ex-chateau bottle but I overlooked these hints, thinking it was a Chateau Margaux. 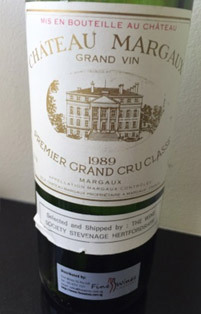 So it was the first growth Chateau Margaux that took the limelight in this 1989 tasting that it came out being an undisputed heavyweight champion, clearing the myth that first growths are not so impressive in 1989. 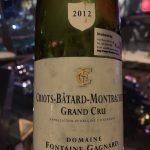 Afterall, it wasn’t my score that put the crown on Chateau Margaux, for every blind tasting, I have a methodology to derive the consensus vote of the top 3 wines in the blind tasting. I believe in everyone who participated in the tasting is a judge, and everyone’s vote counts towards the end result. I gave 3 points to attendee’s first choice, 2 points to second choice and 1 point to third choice. Folks, the verdict is out on what your choice of wines to drink during a special occasion, or perhaps you may even do a blind tasting like what we have done and you wanted to win the contest, you have an added advantage of peeping into experiments we have done before! However, a note of advice, bottle conditions and provenance vary as well as the participant’s drinking experience, so I always take blind tasting results as a pinch of salt or just a guideline and never the final casted in stone result. 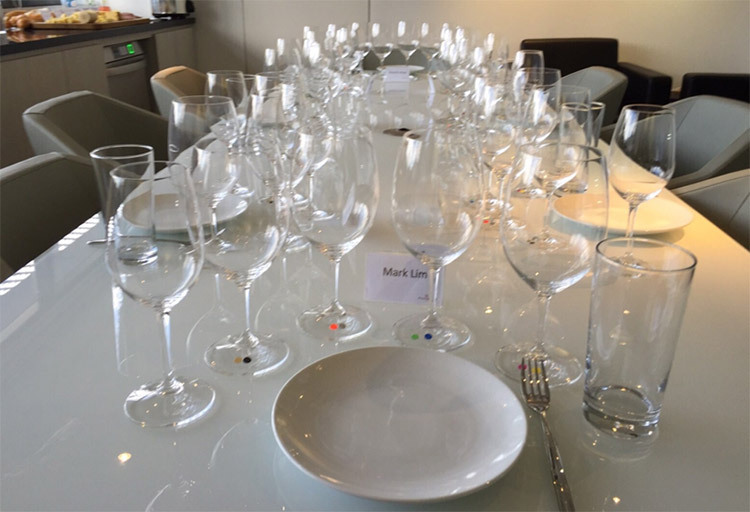 If you would like us to organize a blind tasting format like this and you can round up a few participants, feel free to speak to us and we are glad to help organize such tasting. We guarantee that your participants will enjoy a great afternoon or evening by having such events, very educational as well. Here is a peek of our “Exam sheet”, we take our tasting very seriously. “Students” need to pass my exam before they are allowed to graduate from my class. Ok, a joke. 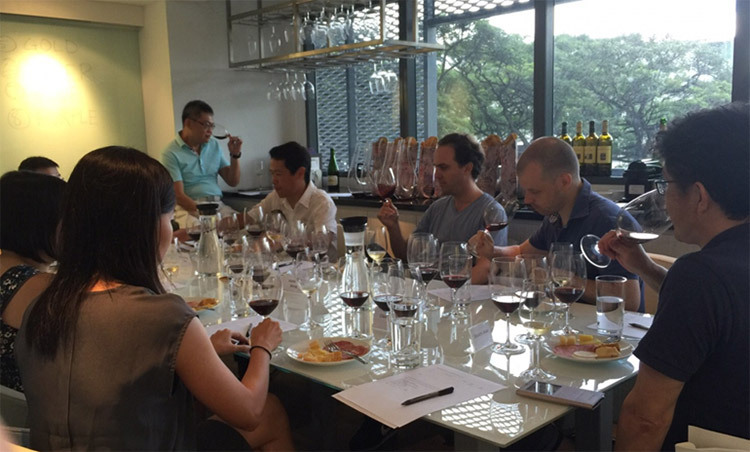 Good to know what to expect from your next blind tasting and writing your tasting note down help you align your preference more deeply. 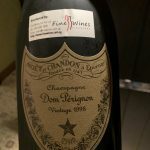 1989 Vintage – Appealing at its best! I have also listed the wine price below the labels so if you are keen to try, you can check which tasting note is of your preference and buy wisely! Of course if you saw your favorite label, what a catch too! 1989 vintage generally is impressive across the Bordeaux appellation and most of them perform really well without questions! Unquestionably a great vintage and one which brought a successful decade to a resounding close. 89s wines are extraordinarily appealing; wines are generally known to be ripe, rich and silky. Great news is our 1989 vintage wines don’t just stop here…we have even more impressive wines in our cellars! Take your pick on your favorite 1989 wines now! Call us now at 6385 2438 or email us atsales@finewines.com.sgto order. Buy with Confidence 24/7!